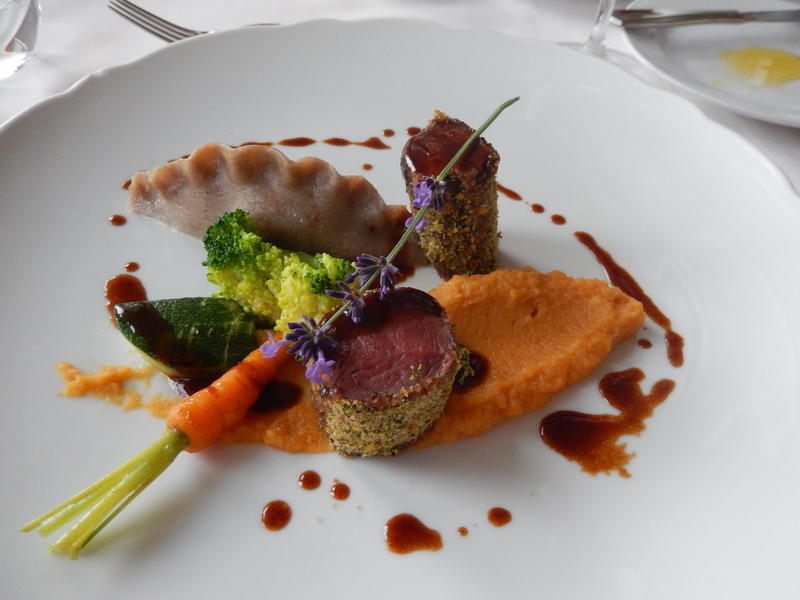 Food in Slovenia | ExperiencePlus! Slovene cuisine is varied and strongly influenced from its bordering neighbors and from its heritage of Pannonian, Alpine and Mediterranean cultures. Many dishes are simple and hearty using cabbage, beans, potatoes, meats, poultry, fish and seafood, but will vary depending upon the region of Slovenia. Even today, the slaughtering of a pig is a major celebrated event in the countryside from which many various culinary products are made: white klobasa, blood sausage, roasts, stuffed tripe, smoked sausage, salami, ham, bacon, and the highest quality and prized karst pršut (prosciutto). The oldest Slovene dishes are made from flour and groats. Belokranjska pogača, a traditional flatbread. Hotel breakfasts are continental breakfast–buffets. Usually you will have a choice of a roll with jam, honey, butter, cereal, cheeses, fruit, freshly baked bread, sausages, salami, pate, scrambled eggs, yogurt, croissants, and hot tea, milk or coffee. As it is served as buffet you will be able to choose what you like. Both wine and beer are an important part of the Slovene cuisine. Herb tea, coffee, milk, and juice is also available. Slovenia’s geographic location affords it protection from both the harsh winter climate and from the intense summer heat. The southern foothills of the Alps provide a good micro-climate for viticulture; hence Slovenia’s notable wine growing industry.